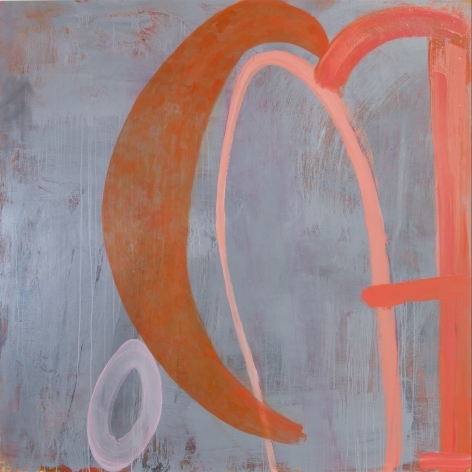 Gestural Structures: Cognitive Shimmers alludes to Jan Reaves' process as an artist. Her latest exhibition presents subtly color-rich paintings made with expressive strokes and layers, as well as a series of monochrome images made using printer toner, suggesting portraits or totems. Reaves explains that “(m)y work searches for what is elemental in an experience. The sheer joy in the quiet act of observation and speculation feeds and propels my work in the studio. The paintings and drawings explore ideas about the body and the natural world through the language of gesture and materiality.… A cognitive shimmer happens when the image triggers a memory or recognition in the viewer. This shimmer occurs just prior to understanding, distinct from the comprehension that we associate with naming. To name is to fix our understanding. I would like to momentarily suspend the viewer between the “recognition” and the 'fixing'." Seeing Reaves' work in person takes viewers close to the process of painting, and the places of memory and imagination that trigger familiarity and wonder. Northwest artist, Jan Reaves received her MFA from the University of Oregon in 1983. She has taught art throughout the Northwest and is currently on the faculty of the University of Oregon. 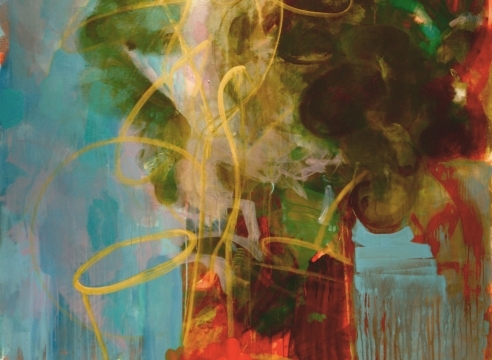 Reaves has shown her work over the past four decades in numerous group exhibitions regionally and nationally, including exhibitions at the Portland Art Museum, OR, The Art Gym, Marylhurst College, OR, The Seattle Art Museum, WA; Western Michigan University, Kalamazoo, MI; St. John's University, Jamaica, NY; San Jose Institute of Contemporary Art, CA, and others. In recent years she was included in The Long Now at the Jordan Schnitzer Museum of Art, University of Oregon, and in Landscape a contemporary survey of regional painters at Linfield College, McMinnville, OR. Reaves has won various awards including the Juror's award for the 2001 Oregon Biennial at the Portland Art Museum, and purchase awards from the Oregon Arts Commission, the Regional Arts & Culture Council, Portland, OR, and the Oregon Health & Sciences University, Portland, OR. “It seems that the main focus of painting is to give pleasure,” the painter Robert Ryman said. “If someone can receive pleasure from looking at paintings, then that’s the best thing that can happen.” If you have interest in the pleasures of looking at paintings, this is a really good month. Sherrie Wolf and Jan Reaves, showing at Laura Russo Gallery, work at opposite ends of the old false dichotomy between representational and abstract painting. Wolf paints still-lifes in a very tight realist way, and Reaves paints big bold painterly abstractions.